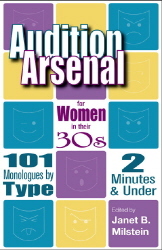 This volume showcasing plays by contemporary women playwrights includes works from the 2001 theatre season. The plays are: "Deux Mariages: Romola and Nijinsky" by Lynn Alvarez, "T for 2" by Gina Barnett, "The Syringa Tree" by Pamela Gien, "The Visible Horse" by Mary Lathrop, "Strangers and Romance" by Barbara Lhota, "Notes" by Jennifer Laura Paige, and "Saint Lucy's Eyes" by Bridgette Wimberly. Booklist, January 2002 - Jack Helbig The plays of Wendy Wasserstein, Beth Henley, Suzi-Lori Parks, Tina Howe, Marsha Norman, and more female playwrights receive regular, national coverage, but as the annual Women Playwrights well illustrates, there are more talented women in the American theater than those objects of New York Times attention. 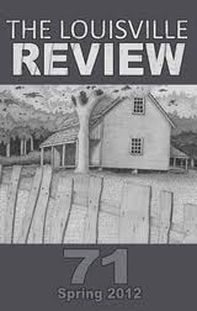 The relative obscurity of the playwrights included is, of course, a strength of the series' practice of casting the net wide to include not only playwrights with growing reputations but others who are still rarely produced in New York or trying to get a toehold there. 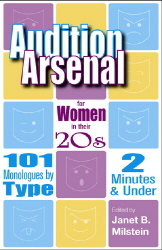 "A real find is the pair of quirky, funny, intellige nt one acts in the 2001 edition, Strangers and Romance, by a young Chicago-based playwright simply named Lhota, who, like the other dramatists represented, contributes a short introductory essay to her work." Finally, a book created specifically for high school and college students and coaches of forensics dramatic duo competition. Crammed full of material, these scenes will challenge and inspire students, coaches and judges alike. Rich, balanced characters are presented in dynamic, topical situations--riveting scenes that examine the fragile human condition. Within these pages you'll find accessible, original pieces that meet the time limits of most league competitions. No props are needed, no inappropriate material and no foul language. All in one book! Use your time for rehearsing--not searching. Do you spend more time trying to find and cut a selection for forensics duo competition than you spend rehearsing it? Those days are over! Inside you'll find thirty-five original comedic duets with unique characters, hilarious situations, and fresh material sure to make even the toughest judges split a gut or at least crack a smile. Since these plays were specifically written for competitions, the language is acceptable, no props are necessary, and they can be done with or without blocking. And best of all, they fit within the 8-10 minute time limit! 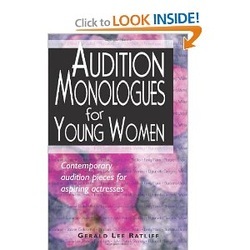 This book is also a gold mine for acting students and their teachers. This source book specifically targeting forensics duo competitions will also be valuable to acting students looking for new material for scene study.So start rehearsing...and be sure to check out all of the books in our Forensics Series! "The women in these scenes are both passionate and vulnerable; their emotional journeys and complex circumstances will give the interpreter plenty to explore. The authors clearly care for the women they've created in these pages, and you will too." ~ Steven Spraragen, Associate Director, Playwrights Horizons Theater School, Affiliate of NYU's Tisch School of the Arts, Department of Drama, New York, NY. Are you tired of buying monologue books only to discard half of the pieces because they are outside of your age range? Not anymore. 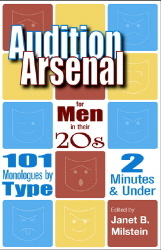 The first four books in this series are for: women in their 20s, men in their 20s, women in their 30s, and men in their 30s. That means 101 monologues per book, 2 minutes and under, that are all usable by you. Prepare your audition repertoire with the most innovative monologue series to date-Audition Arsenal! Gerald Lee Ratliff is a popular speaker at national English and theatre conferences who conducts interactive workshops in performances approaches to text interpretation and analysis. His textbooks are frequently included in recommended reading lists for high schools as well as colleges and universities.He is also a frequent consultant for higher education program development and administrative approaches to institutional transformation strategies.